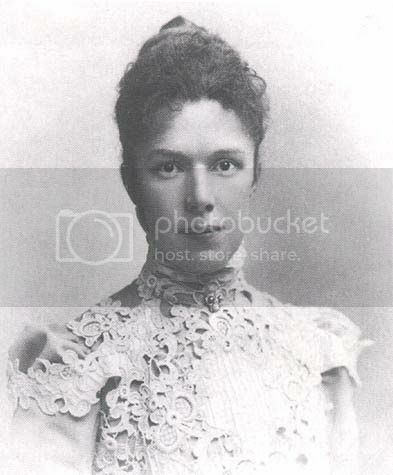 The Black valet mentioned is named Philip Jordan there are brief mentions of him in the books "The Russian Revolution" Alan Moorehead and "Russia Leaves the War" George F Kennan. I think there is an article on him in a old issue of American Heritage magazine. I just finished with the book "Former People" a fine book. The only grip I have is he didn't use LDR as a source. page 643 Alexei having a accident sliding down the stairs at Tobolsk didn't happen his last hemophila attack was do to coughing. What is your source for Alexei last hemophilia attack caused by coughing? I remember reading in Massie's Nicholas and Alexandra the version about the accident sliding down the stairs. Alexandra's 1918 diary which Massie had published mentions coughing as does Buxhoeveden's bio of AF which is on this site in the chapter on Tobolsk. 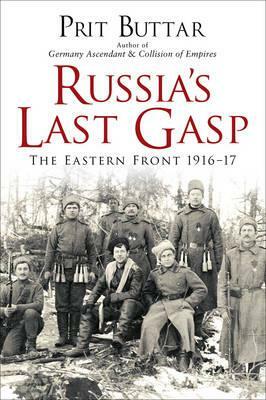 The sled incident is from a book by Tatania Botkina according to the book "N&A"
In Russia's Last Gasp, Prit Buttar looks at one of the bloodiest campaigns launched in the history of warfare - the Brusilov Offensive, sometimes known as the June Advance. The assault was intended to ease the pressure on Russia's British and French allies by diverting German troops from the Western Front and knocking Austria-Hungary out of the war. Russia's dismal military performance in the preceding years was forgotten, as the Brusilov Offensive was quickly characterised by innovative tactics, including the use of shock troops, a strategy that German armies would later adapt to great effect. Drawing on first-hand accounts and detailed archival research this is a dramatic retelling of the final years of the war on the Eastern Front, in which the Russian Army claimed military success but at a terrible cost. Museum Palace Het Loo presents "Anna Pavlovna, a colourful queen" A large exhibition about one of the most colourful princesses in The Netherlands. The exhibition has many of her valuables which have never been shown in public, including jewelry, dinnerware and furniture. 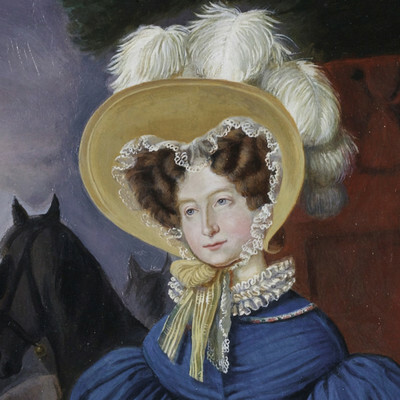 This year marks the 200th anniversary of Anna Pavlovna (1795-1865), sister of the Russian tsar, with married the future King William II and came to the Netherlands. The arrival of the Russian Grand Duchess to this tiny country made a stir; beautiful court dresses with gold and furs and precious jewels, it is a remarkable appearance to the austere Protestant court of the House of Orange. From Russia she brings along her own cooks, furniture and even a complete Russian Orthodox Church equipment, including priests and singers. Streets, squares and even a village is named after this colourful Romanov. The exhibition catalog: 23x28 cm, 128 pages, 100 color illustrations, hardcover, only available in Dutch. Nicholas Diary also state that Alexei got whooping cough no mention of any sort of accident. There is also a new german book about Miechen. 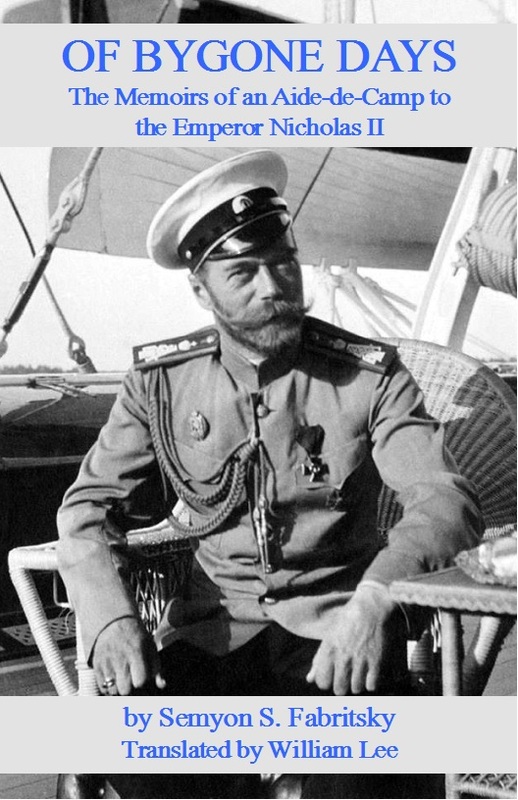 In February 1917, Nicholas II, the last Tsar of All the Russias, abdicated and the dynasty that had ruled an empire for three hundred years was forced from power by revolution. Now, on the hundredth anniversary of that revolution, the eminent historian of Russia, Robert Service examines Nicholas's reign in the year before his abdication and the months between that momentous date and his death, with his family, in Ekaterinburg in July 1918. The story has been told many times, but Service's profound understanding of the period and his forensic examination of hitherto untapped sources, including the Tsar's diaries and recorded conversations, shed remarkable new light on his reign, also revealing the kind of ruler Nicholas believed himself to have been, contrary to the disastrous reality. 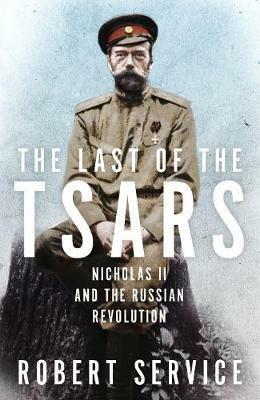 Last of the Tsars is a masterful study of a man who was almost entirely out of his depth, perhaps even wilfully so. It is also a compelling account of the social, economic and political foment in Russia in the aftermath of Alexander Kerensky's February Revolution, the Bolshevik seizure of power in October 1917 and the beginnings of Lenin's Soviet republic. For the first time translated into English the memoirs of Rear Admiral Semyon Semyonovich Fabritsky, Aide-de-Camp to the Emperor Nicholas II "The time I spent with Their Majesties - over the course of many years and under varied circumstances - will always be the source of my most precious memories, and I am very happy to be able to share those memories now with a wide public. I hope at least to give an absolutely truthful account of what I saw and heard" - Semyon S. Fabritsky Semyon Semyonovich Fabritsky (1874-1941) had a fascinating career during the twilight years of Imperial Russia. He began his naval career in the very first days of the reign of Emperor Nicholas II. He was later personally appointed Flügel-Adjutant by the Emperor himself, a position he served with immense pride and devotion. During his service to Nicholas II, Fabritsky earned both the trust and friendship of the Emperor. Through his often uninterrupted contact with Russia’s last sovereign and observing him at all hours and under a variety of conditions, Fabritsky was able to form a clear picture of Nicholas II and his family, through his own personal eye-witness observations. He also served aboard the Imperial yachts, partaking in holidays with the Emperor and his family to the Crimea and the Finnish skerries. He shares interesting details and anecdotes about the Polar Star, Alexandria, and Standart. Fabritsky provides great insight to the treachery, cowardice, and deceit which prevailed every where. He acknowledges ministers and generals who were either unworthy of their posts or unfit for them. Sadly, it was these men which surrounded Nicholas II during his twenty-two and a half year reign, who contributed to the downfall of monarchy and the destruction of the Russian Empire in 1917. paperback edition, 192 pages, illustrated, in English. Thanks for the info on the new books. I glanced through a copy of " Caught in The Revolution" by Helen R found it good reading and will read it all one day. The Wall Street Journal also gave it good reviews. I have found a flaw in it one of the sources is "One Man's War" by Bert Hall. Blaine Pradoe wrote a bio of this man "The bad Boy Bert Hall" which states hall DID NOT write this book. He handed his diaries and some notes to John Jacob Miles and left for China. Niles wrote a heavily fictionalized auto-biography of Hall with out any input from him and published the book without halls knowledge or consent. Hall later embraced the book as fact because he needed money. historians and others have wondered why this book is so different from his other book "En L'air" written by him in 1918 which is also somewhat fictionalized. Note: both books are online. Pradoe did a presitation on on this book at a league of WW I aviation Historians seminar called "The Bad Boy Bert Hall" which is on youtube and rather interesting and sometimes funny. I was there. Lets just say Hall was one rather interesting scoundrel. The book "The Bad Boy Bert hall is on amazon.com I got a copy by ILL.
Philip Jordan mentioned in the book "Caught in the Revolution" there is an article on him in History today magazine march 1978 with more quotes from him.